I took a minimalist approach for my travel adventure in February. 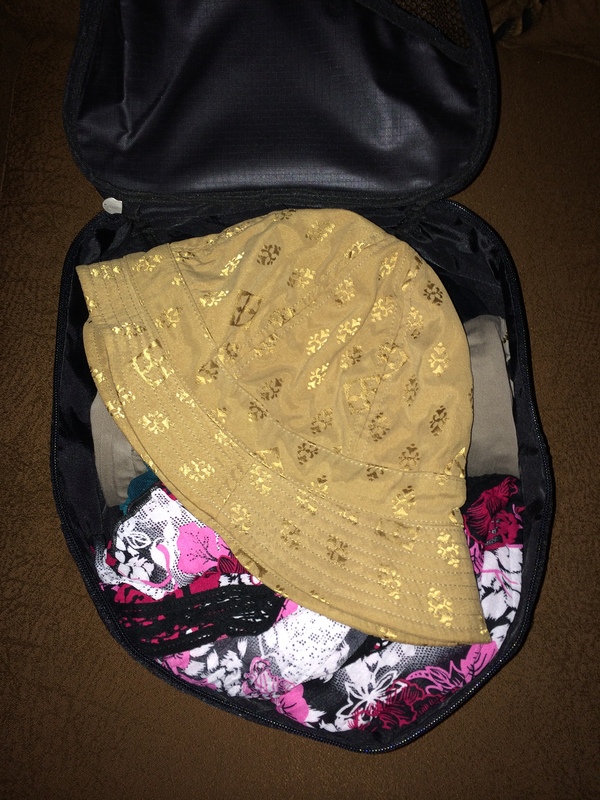 My goal was to bring only one carry on bag, packing the essentials for a two-week trip to Southeast Asia. Thus I embarked on a quest (I’m always on a quest!) to find the perfect carry on bag. That in turn led me on a side quest to find some awesome gear so I could carry all my tech with me in my pockets. 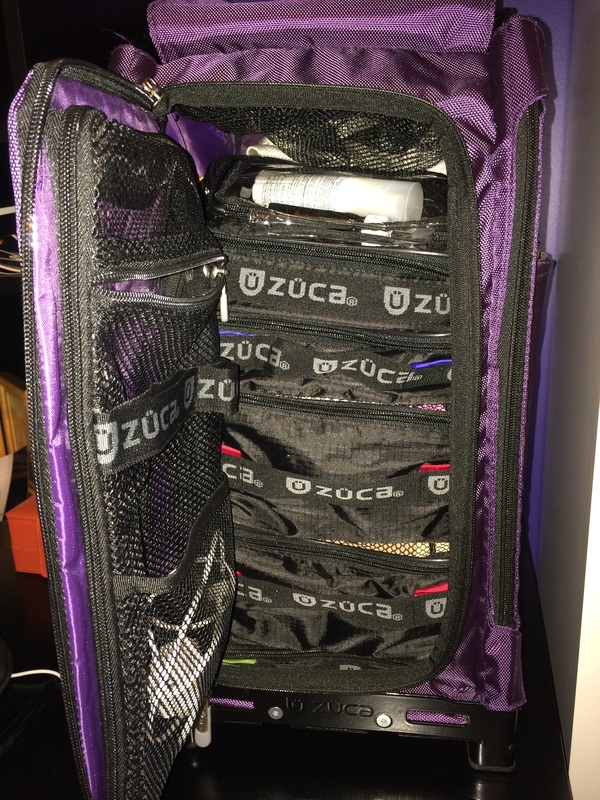 After a ton of research I settled on the Zuca Pro Travel. This thing is so cool! 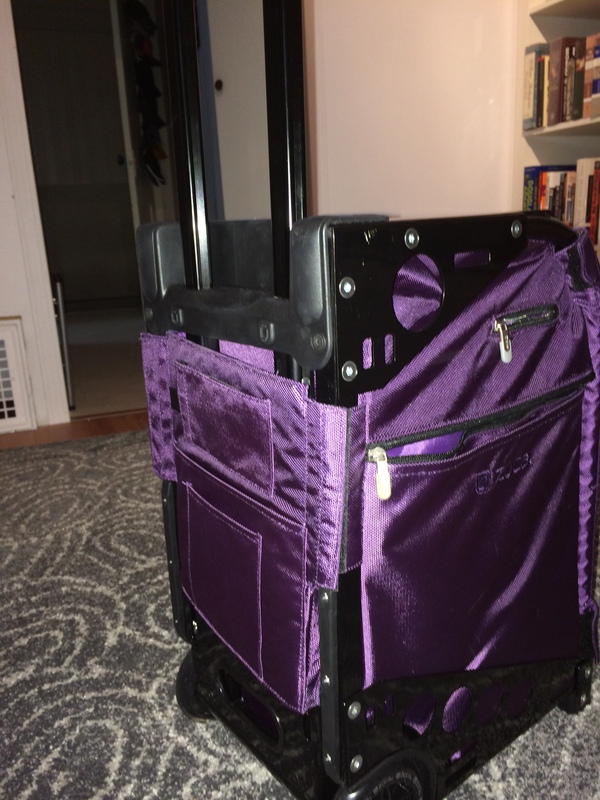 I got my awesome bag with a black frame and a dark purple liner bag making it even more epic. It’s basically an aluminum alloy frame with a liner of your choice that creates the ultimate overhead carry on. The frame holds up to 300 pounds so you can use it as a seat. It’s very lightweight and also comes with a matching cover that takes care of zipper pulls so you can check it in if you want. Mine came with 5 mesh pouches of different depths that stack inside of the bag, which opens high school locker style in the front. 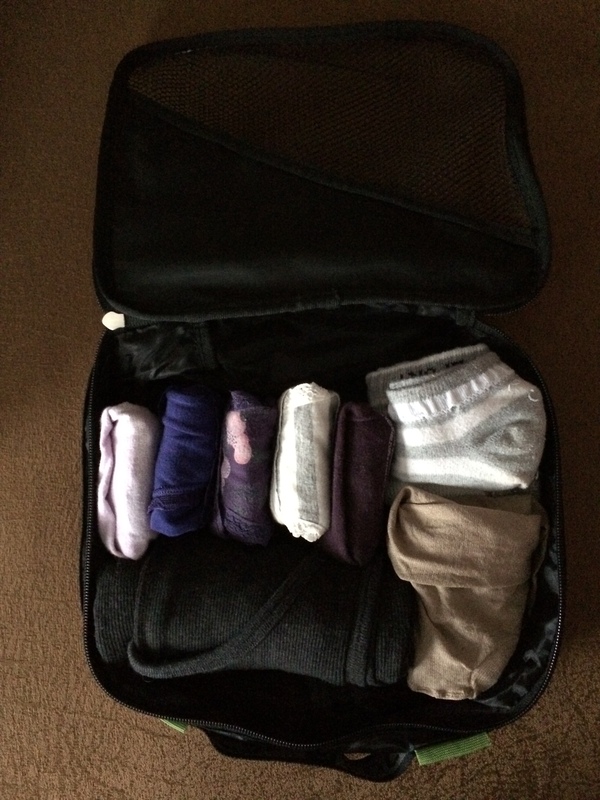 The pouches are colour coded so it will be easy to live out of my suitcase. If I leave everything in its place, then I can be sure I haven’t left anything behind when I see all five pouches repacked. I couldn’t wait to use it, so I packed a bit early. 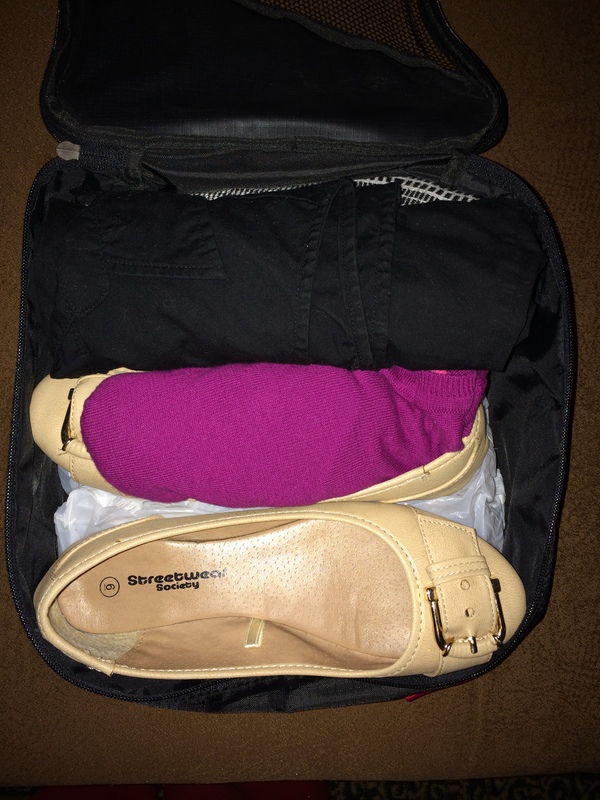 Here’s what I packed for the two-week trip. I tried to make most of the clothing match each other so I could get a good combination of outfits with fewer items. I got about 13 combinations, not counting the little sweater and the clothes I’ll be wearing on the plane. Everything is pretty much wrinkle free and quick dry fabrics. The yoga pants and tank top will do double duty as pajamas. Pouch #4 (no image) Hair brush, cosmetics, sunglasses, earplugs, toothbrush, deodorant. Pouch #5 I did not use and had room for souvenirs. Liquids and Gels bag on the top. Here it is all packed up. This bag stood up to the abuse of long walking detours along uneven pavement (blame the Shut Down Bangkok protests and riots), was my seating in long lineups in airports, and fit in the overhead for all of my flights. I even had a security check and knew exactly which pouch to locate. The official said he’d never had a faster check. It’s been several months since my trip and I’ve since taken it to three more countries. I absolutely love this bag. Well, before we embark on our chocolate world tour, I’ll make sure you’re well prepared!